Moving on to the metrics, for occupancy the key metric is utilization. How much storage are we using and how much is available? Below are some host metrics that are typically available, these metrics are available at the file system, volume, or logical disk levels. A lot of these Storage arrays, from the different vendors, have different ways to carve up the storage. 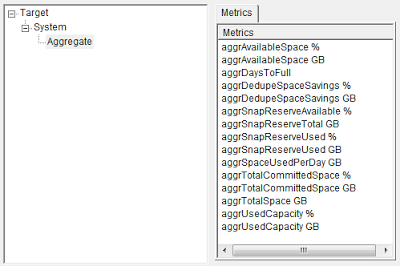 Storage groups can be configured as in this example, using NetApp aggregates, which can have many occupancy metrics at different levels. 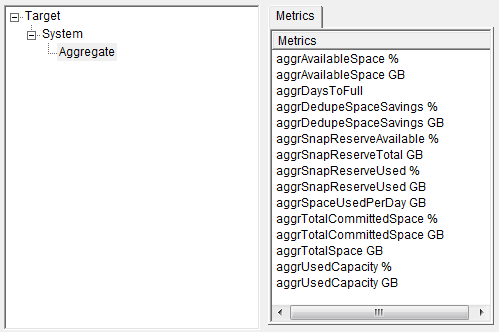 Some of the NetApp occupancy levels here are not available on the host in general. Total Committed space – A lot of vendors now offer thin provisioning where storage can be over-committed so it looks as though there is more storage than is really available, this allows you to see how over-committed you really are. athene®, our capacity management solution, can bring in metrics from any time series data source so can allow storage metrics to be brought in to the capacity management process.